Today I'm back with another group of wonderful ladies sharing some of our favorite holiday beverages. 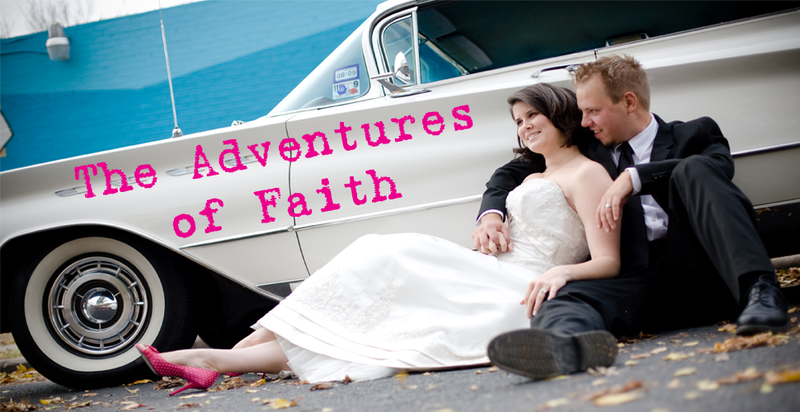 Miss our gift guides last week? You can find all the link ups here. Heat all the ingredients until hot, but do not let it boil. Once it's warm, add the sliced lemon to the pot and serve. Some recipes (and depending on the country) will also add other liquors, such as brandy. I like the plain and simple approach, but the great thing about this recipe is that you can add spices to suit you. I also saw this at HEB last night. Just warm on the stove and pretend you made from scratch. This is German Glühwein. Just be sure to hide the bottle so no one knows you didn't make it yourself. 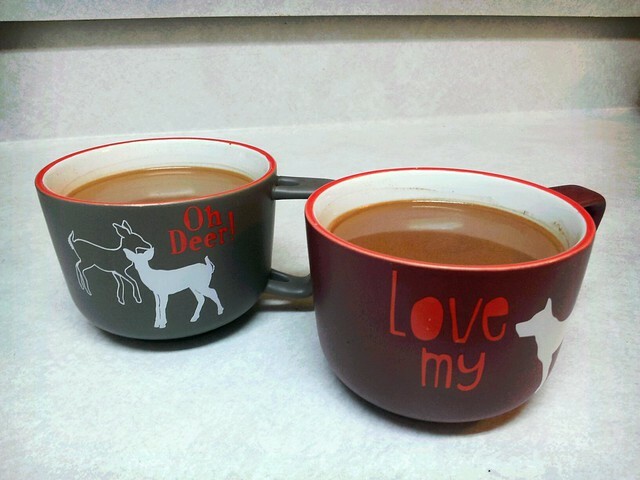 My other lush libation to share is another warm beverage, hot chocolate and peppermint schnapps. When we host Christmas at our house, John, my brothers, and I usually stay up late playing board games and drinking spiked hot chocolate. At least until we get too loud and one of my parents comes out of the guest room and yells at us for making too much noise. I'm partial to Mexican hot chocolate, but really any kind will do. Then just add a little shot of peppermint schnapps and enjoy! Just don't let the little ones get ahold of mom's chocolate! 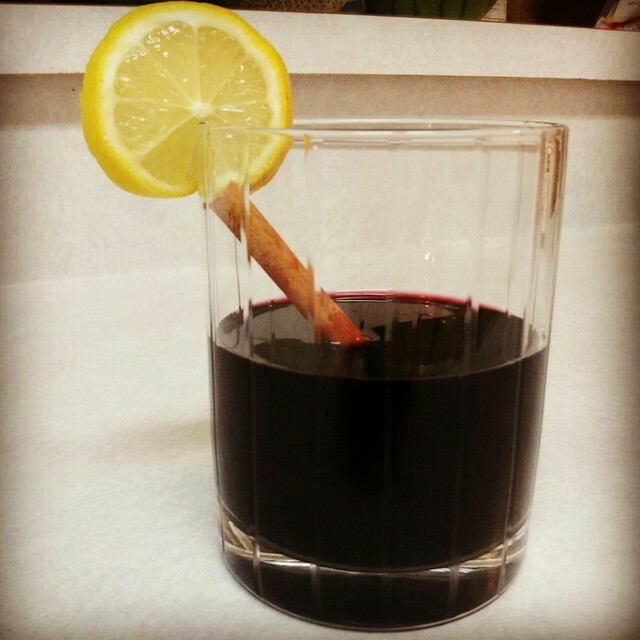 Next up, Ellen at Bloom Maternity has a great holiday mocktail to share with you all! Thanks for stopping by and enjoy the hop! Mulled wine is so great this time of year. Hope you enjoy it! 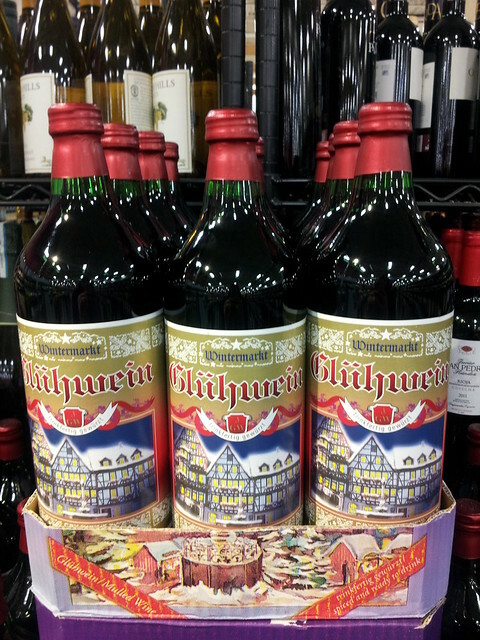 I remember my parents drinking Glühwein when we lived in Germany. They gave me a tiny sip and it tasted wonderful on a cold day. I've never had mulled wine before! I'm definitely going to try this! I have a bottle of that German wine in my cabinet right now! I also prefer Mexican chocolate! You'll have to let me knowgow it is! Yeah you can find me microwaving my wine in a mug, with a dash of cinnamon and all spice, during the holidays. What? !